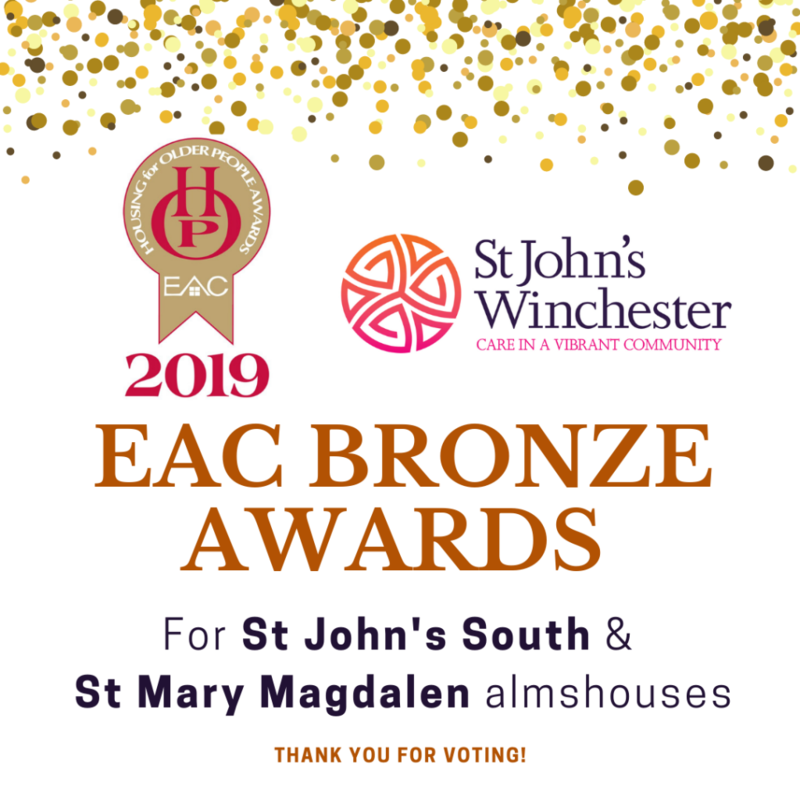 We are delighted to announce that St John’s has won two Bronze Awards at the Elderly Accommodation Counsel (EAC) Awards 2019. This is the second consecutive year that the Charity has won such an award for its housing. St Mary Magdalen and St John’s South have both been awarded top prizes. More than 25,000 retirement housing schemes and developments applied this year. 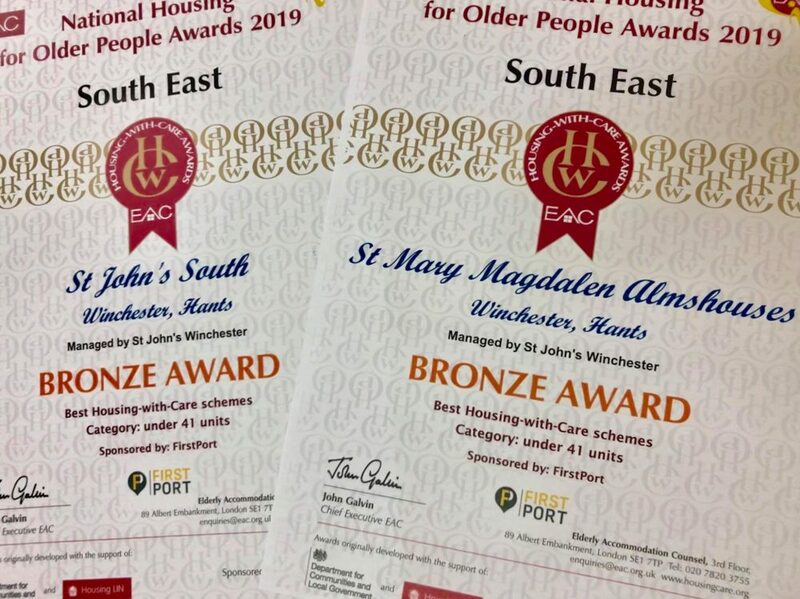 Out of the 300 awards available nationwide, the Charity has been awarded two of them within the South East category. The annual awards celebrate the best in specialist housing for older people, with thousands of residents, staff, visitors and volunteers voting across the country. Thank you to everyone who took the time and effort to vote for us! 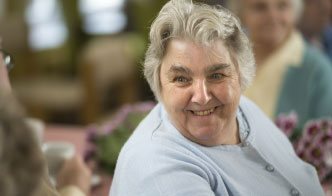 Elderly Accommodation Counsel (EAC) is a national charity that helps older people meet their current of anticipated housing and support needs. This year, the EAC Awards are to be held at The Sheridan Suite in Manchester on 21st May 2019.